If the United States is a police state, then the Department of Homeland Security (DHS) is its national police force, with all the brutality, ineptitude and corruption such a role implies. In fact, although the DHS’ governmental bureaucracy may at times appear to be inept and bungling, it is ruthlessly efficient when it comes to building what the Founders feared most–a standing army on American soil. Militarizing police and SWAT teams. 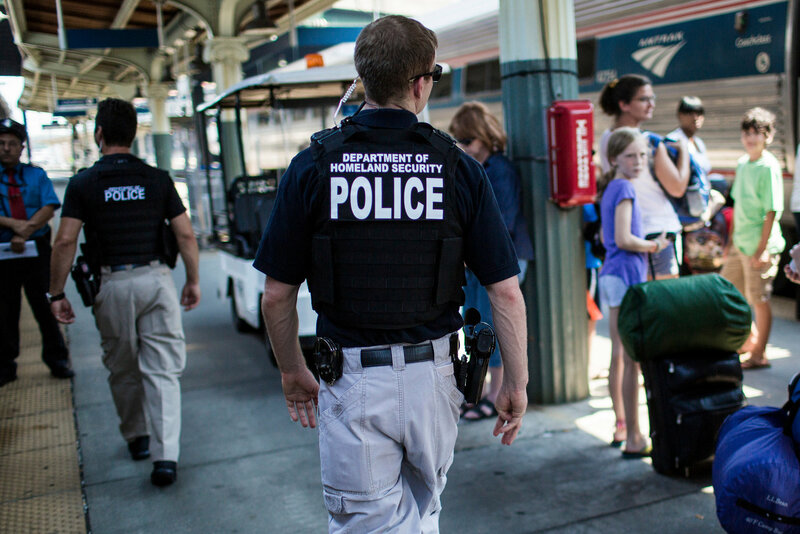 The DHS routinely hands out six-figure grants to enable local municipalities to purchase military-style vehicles, as well as a veritable war chest of weaponry, ranging from tactical vests, bomb-disarming robots, assault weapons and combat uniforms. This rise in military equipment purchases funded by the DHS has, according to analysts Andrew Becker and G.W. Schulz, “paralleled an apparent increase in local SWAT teams.” The end result? An explosive growth in the use of SWAT teams for otherwise routine police matters, an increased tendency on the part of police to shoot first and ask questions later, and an overall mindset within police forces that they are at war–and the citizenry are the enemy combatants. This, too, is nothing new. Historically, as I show in my book A Government of Wolves: The Emerging American Police State, the establishment of a national police force has served as a fundamental and final building block for every totalitarian regime that has ever wreaked havoc on humanity, from Hitler’s all-too-real Nazi Germany to George Orwell’s fictional Oceania. Whether fictional or historical, however, the calling cards of these national police agencies remain the same: brutality, inhumanity, corruption, intolerance, rigidity, and bureaucracy–in other words, evil.